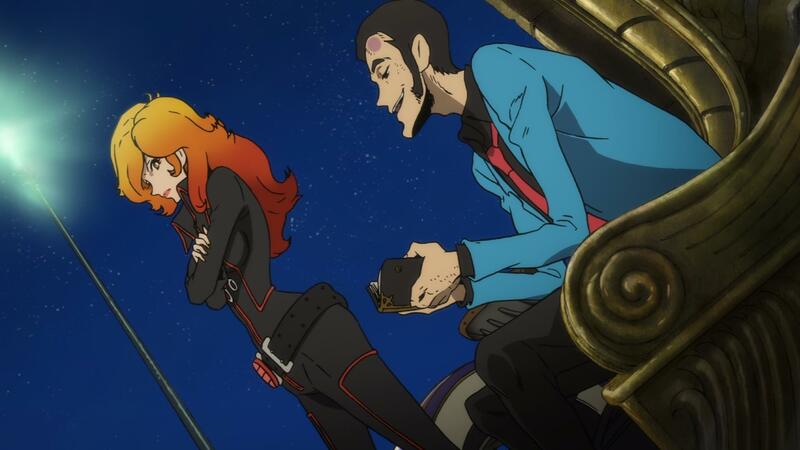 Until Lupin the Third: The Woman Called Fujiko Mine, the Lupin III TV series were episodic in nature. The events of one episode had zero impact on future episodes. Likewise, the same can be said for the various TV specials, OVAs, and theatrical releases of the Lupin III franchise. When Lupin the Third Part 4 came out, we got two interconnected story arcs that were quite interesting. Then when Lupin the Third Part 5 came out, we got shorter story arcs, interspersed with some solo episodes. Here too, there were elements that linked all of the different stories to focus on a series theme. This serial form of story telling is much more interesting. 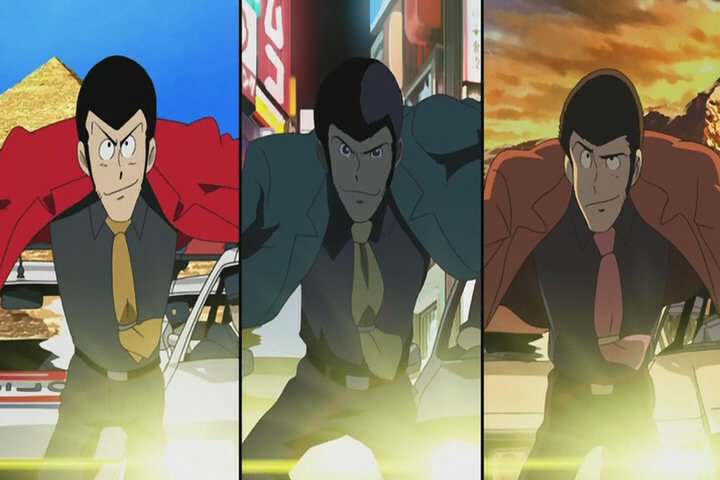 As such, I would like to see Lupin the Third Part 6 continue this trend. Personally, I don’t need single episode fluff stories or even tribute stories like we saw in Part 5. If they show up to give us a break, I won’t complain. But the main thing is to have serial episodes telling story arcs. I wouldn’t mind seeing the writers creating a story arc that ends up being a sequel to some earlier Lupin III story. There have been many Lupin III stories were part of the premise of the story is that such-and-such happened in Lupin’s (or one of the gang’s) past, and now they they are dealing with the consequences of that. Heck, even the most excellent Lupin III Castle of Cagliostro uses this method of storytelling. We are given a flashback to see Lupin’s previous attempt to get to the secrets of Cagliostro. I’m not that versed on the various Lupin III stories, but I’m sure there are stories where further exploration of characters or events could prove most interesting. 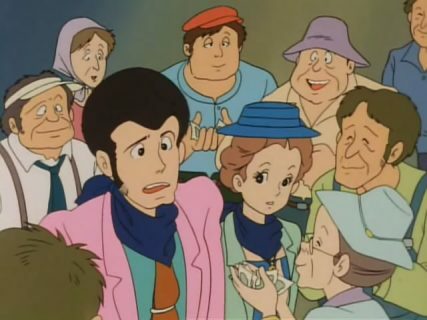 When it came to the Lupin the Third Part 4 series, I found the character of Rebecca to be a breath of much needed fresh air to the Lupin III franchise. For starters, she became Lupin’s legal wife. This provided some interesting conflict between Lupin, Fujiko, and Rebecca. I like to think that in many ways, Lupin’s whole relationship with Rebecca allowed the writers to have Fujiko behave the way she did in Part 5. 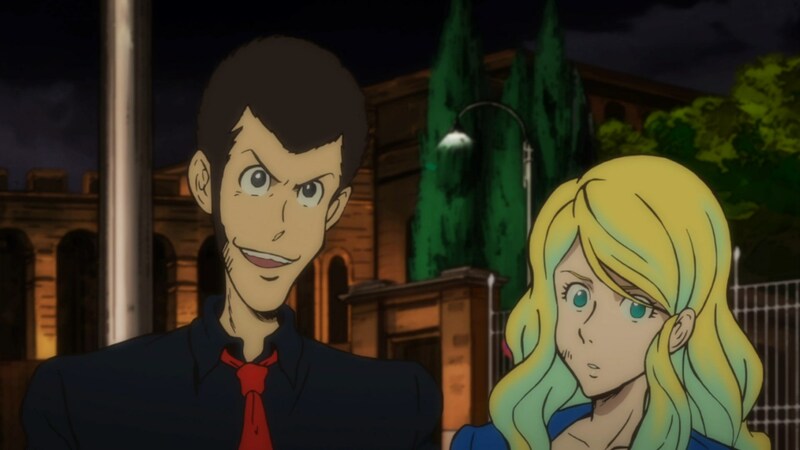 And were Rebecca part of Lupin the Third Part 6, the writers could continue to explore Lupin’s and Fujiko’s relationship and have some fun to boot. Not only that, Rebecca is a fairly competent thief in her own right. She and Lupin worked well together. 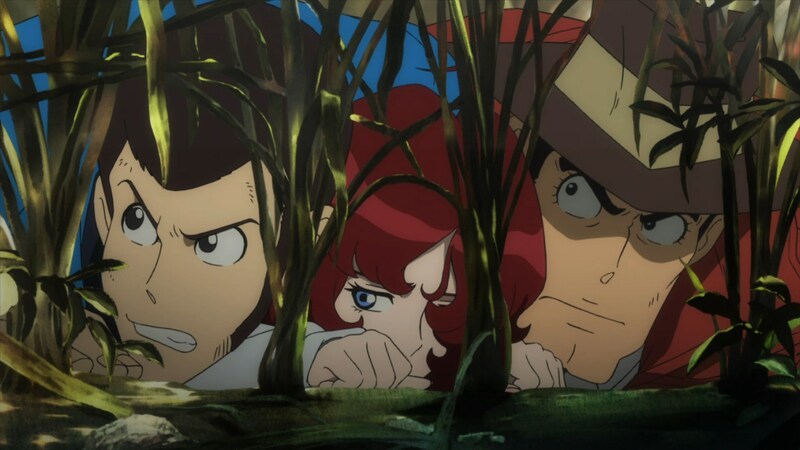 While Jigen and Goemon have long expressed doubts about Fujiko, when it came to Rebecca, they are pretty cool with her. I think she would be a fun addition to Part 6, aiding Lupin in various ways in his adventure. As an aside, I plan to watch and review the two Lupin III Part 4 episodes that were part of the broadcast release in Italy, but were reserved for BD/DVD viewers to purchase in Japan. So I have some Rebecca goodness to look forward to. ? Ami’s introduction in Part 5 was another breath of fresh air to the franchise. Here we have a teenage hacker girl who’s got mad skills. She may not be a fighter, but not everyone in Lupin’s gang needs to be. She’s the ultimate support person, providing Lupin eyes and ears in the modern day sense. As such, I’d love to see her return in a Lupin the Third Part 6 series. I think it would be awesome to have Ami interact with Rebecca, seeing how both love Lupin. Ami learned a lot from Fujiko, and there are a few things she could learn from Ami. Plus, my mind reels at the thought of a well-written adventure starring Fujiko, Rebecca, and Ami. ? Heck, it would be fun seeing them have to rescue Lupin. 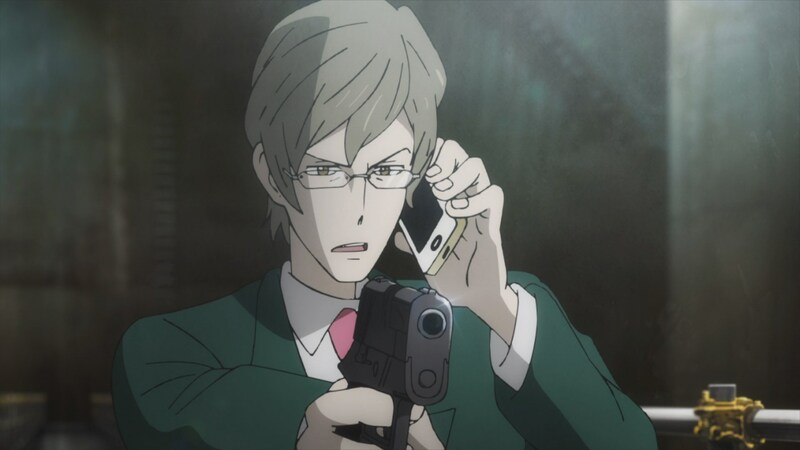 At the end of Lupin the Third Part 5, Albert wasn’t Lupin’s enemy, but it was pretty clear that should the writers want to, in a Lupin the Third Part 6 series, Albert could be. We’ve already seen how he’s one of the few able to go head-to-head with Lupin. And he’s the kind of character where you’d never know if he is your ally or actually your enemy. Plus, everything else aside, he kin to Lupin. And exploring a bit more of Lupin’s family sounds very interesting. While the Lupin III Part 4 and Part 5 series have made good use of Fujiko, Goemon, Jigen, and Zenigata, I would love for the writers to do further character exploration of these characters. One of the nice things about Part 5‘s final arc is that we got an insight into how each of these characters relate to Lupin. And we could get even more of that in a Lupin the Third Part 6 series. Of course all of my blathering is moot if TMS doesn’t announce that there’s going to be a Lupin the Third Part 6 series. Although TMS made it clear that they are committed to more Lupin III stuff, it is possible that they may keep it to TV specials or OVAs. I hope not because a Lupin the Third Part 6 TV series is what I’m most keen to watch. 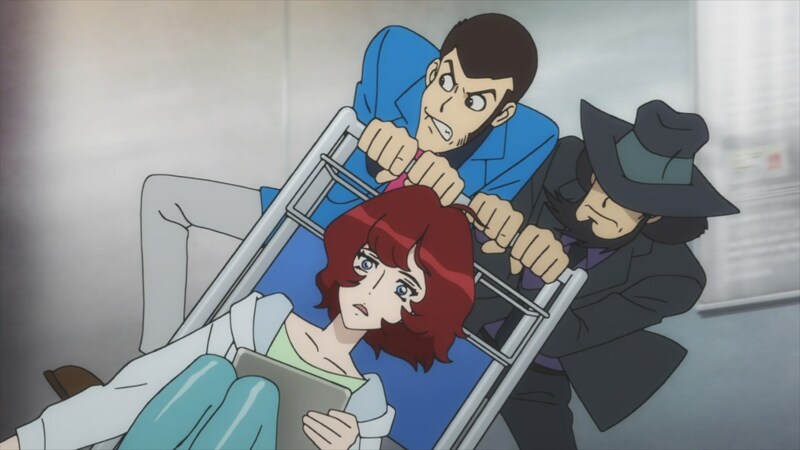 So if TMS announces a new Lupin the Third Part 6, what would you like to see in it? Let me know in the comments below. I’m always interested to hear what other fans have to say. ? How about part 6 having Yata as a main character. He should have some episodes that involve him more and give him more character growth, and I won’t mind if part 6 expands his interactions with Inspector Zenigata. I also want to see Zenigata in a fatherly role. Honestly, I always thought he and Lupin would have some sort of a father and son relationship so much that I want to notice in the Lupin the third franchise and only noticed in some fanfiction stories on fanfiction.net and Archives of our own, plus in one story from Archives of our own called “Habbit”, spme of the comments suggests that Zenigata is a good adoptive dad. Also, he has a daughter named Thosiko and would it be nice to see her as a kid or teenager in part 6 with a main role that’s no a villain or love interest. Mabey she and Lupin would have a brother and sister relationship. And finally, love interests for Jigen and Goemon. We need to get them girls who won’t die or betray them. Or maybe pair them up with each other because some of the fans of this franchise likes Jigen x Goemon. And finally, love interests for Jigen and Goemon. We need to get them girls who won’t die or betray them. Didn’t you read what I want to see in part six? Yeah, I did. ? Was there something specific you were wanting from me? No, I just want to know what you think about what I want for part 6. If there is a part 6. It sounds fine. Not sure that they would give Yata that much time, considering his role as a sounding board for Zenigata. But one never knows for sure. 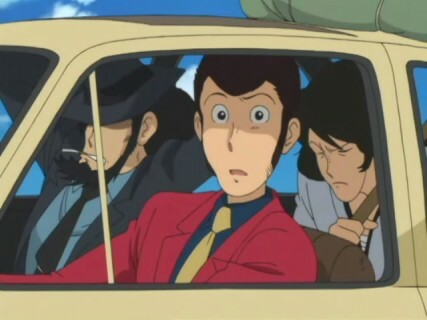 Zenigata makes a conscious choice to “bend” the law in helping Lupin so that they can overcome some greater crisis. They have already done as much in Tokyo Crisis. That film you disliked ! ? I think your suggestions are good overall. I personally would love to see a one-shot, “elsewhere world” miniseries that occurs outside of the Canon. For example, a miniseries based on Mamoru Oshii’s pitch for the third Lupin film directed by Oshii. The link below contains the full description of his proposed film. I also would love to see a miniseries directed by Koji Yamamura. They have already done as much in Tokyo Crisis. That film you disliked ! Haha! I probably should rewatch at some point. I personally would love to see a one-shot, “elsewhere world” miniseries that occurs outside of the Canon. For example, a miniseries based on Mamoru Oshii’s pitch for the third Lupin film directed by Oshii. The link below contains the full description of his proposed film. Wait…Mamoru Oshii did Urusei Yatsura: Beautiful Dreamer. Not sure I’d be a fan of that, but it would depend on how surreal it got. I don’t like surreal. In the case of Lupin, I think surrealism is effective when it’s coupled with a healthy dose of levity. That could work. I’d still be leery, but I’d check it out just the same. By the way, did you hear about the new TV Special called Goodbye Partner ? The air date is the 25th of this month. This film teases Jigen’s betrayal of Lupin but I’m not getting my hopes up. I think I remember hearing something about it, but I haven’t looked into it. ? I will like to see some focus on some members from Zenigata’s and Lupin’s own families. Zenigata’s daughter Thosiko having a brother sister relationship with Lupin is a good ideal. Even strangely, Thosiko can have a relationship with one of Lupin’s nephews. 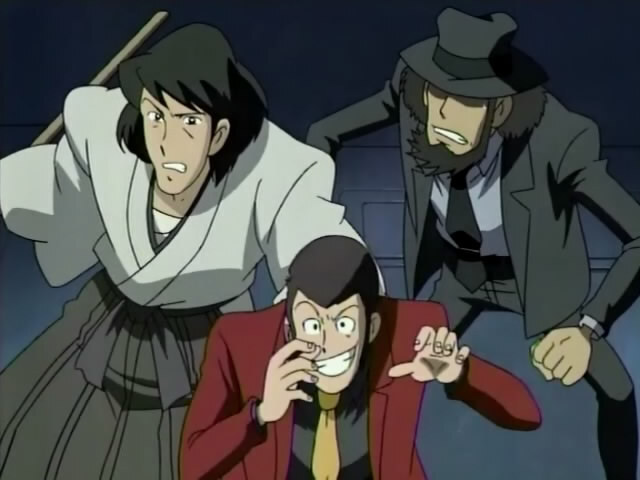 To add to the humor, Zenigata makes the mistake of Thosiko falling for Lupin instead one of his nephews before realizing that Thosiko sees Lupin more like an older step brother. An additional ideal is introducing one member of the family of a famous British detective. I didn’t know Zenigata had a daughter. ?